Table top 48Wx32D, features reverse bevel edge and a 12-inch butterfly leaf. 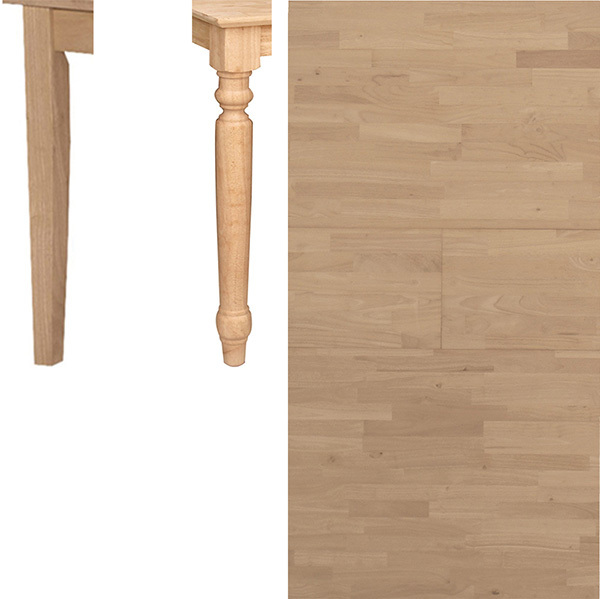 Choose turned or shaker legs. Heights: 30, 36 or 42 inches. Available unfinished or custom finished. Contact store for details.